If you binge-watched Russian Doll and want more, we've got some books for you. Netflix’s Russian Doll is a brilliantly dark comedy about life, death, and existential dread. 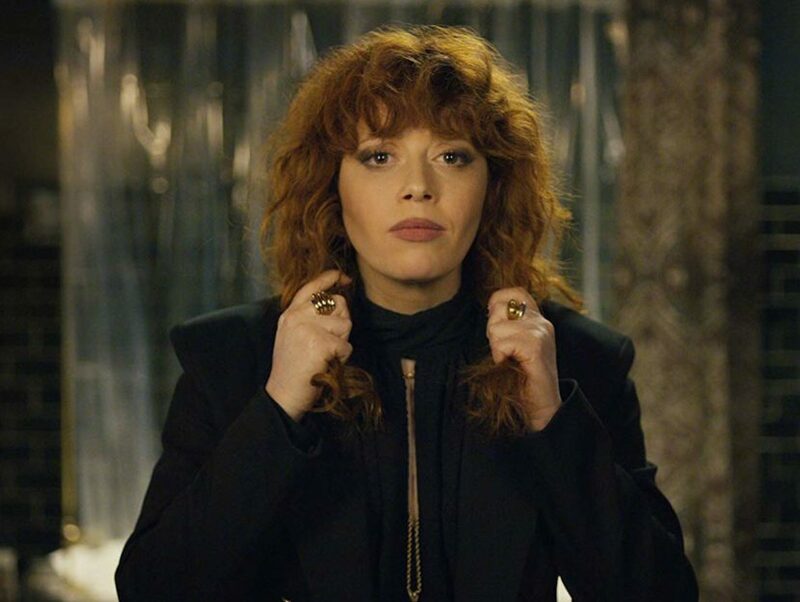 Opening at a birthday party for Nadia (Natasha Lyonne), the show’s narrative begins, ends, and begins again with Nadia’s untimely and unending deaths. Each death forces her to relive the night of her birthday party again and again, along with an alternate array of the hours that follow after. As she attempts to unravel the temporal conundrum of recurring fatalities, she crosses paths with a stranger who is similarly caught in a loop of back-to-back deaths. Perhaps Netflix’s most philosophic offering to date, Russian Doll is a provocative metanarrative that will make you laugh and weep within the span of a few minutes. A postmodern twist on memento mori, each episode reminds us that carpe diem is more than just a cliche. If you’re already on your second (or third) rewatch of Russian Doll, here’s a list of equally existential titles to tide you over until Season 2’s release. Etger Keret’s dark yet heartfelt collection is a patchwork of peculiar yet illuminating ruminations on mortality, desire, and love. Punctuated by their brevity and unorthodox protagonists, Keret’s narratives tow the line between magical realism and fabulist fever dream. His stories transport readers to unexpected destinations: a rooftop where a man argues with an angel, a grocery store located near “the mouth of Hell, a drab purgatory where a once suicidal young man finds love. An unconventional exploration of humanity and postmodern desire, the fictive worlds within The Bus Driver Who Wanted to Be God are masterfully immediate, macabre, and always haunting. His words entangle readers with ease. Lesley Nneka Arimah’s award-winning debut collection What It Means When A Man Falls From the Sky is an undeniably satisfying tour-de-force. In each story, Arimah’s protagonists search for wholeness in worlds where infants made of hair can break a mother’s heart, the bodies of men fall from the heavens, and linearity is obsolete. Every story in this collection should be revisited and enjoyed often. A shining example of the power of subverting convention as a way to reveal and confront the realities of our contemporary moment, Arimah’s fiction will make you view the world around you with a new sense of wonder. There Once Lived a Woman Who Tried to Kill Her Neighbor’s Baby isn’t a collection for the faint of heart. Cautionary tales in their own rite, the pages in Petrushevskaya’s short stories depict intimate and life-altering brushes with the unknown, despair, and death. Like ancient myths, fables, and fairy tales, her picks apart primordial fears and longings. Strange and familiar at once, the predicaments that her characters face will urge readers to look closer at their own lives and inner darkness. Through the grief of an orphan, the anxieties of a wounded soldier, and an uncanny connection between neighbors, humanity’s vulnerabilities are laid bear with fraught urgency. Petrushevskaya’s stories are for the brave. Franz Kafka’s second novel is as timely as it is relatable. Unfinished and published posthumously, The Castle‘s strength lies in its ability to poke fun at the redundancies of those in power while depicting its toll on humanity. As K, the novel’s frustrated hero, attempts to navigate the nightmarish horror of a village ruled by absurd bureaucracy that results in a mountain of unanswered questions, piles of paperwork, and thwarted hopes. A grim yet comedic allegory reminiscent of our current political climate, The Castle is a literary ouroboros, its relevance never ending in an eerie unshakable way. In Nobel Prize-winner Jean-Paul Sartre’s work, existential crises always take center stage. No Exit and Three Other Plays is no exception. The collection’s titular play takes place in an inescapable hell comprised of three condemned souls—Estelle, Inès, and Joseph—are confronted with the aftermath of the choices they made while alive. Together, recount, lament, and reflect on their failures and shortcomings, picking apart the lives they dreamt of juxtaposed to the lives they actually lived. A revealingly grating portrait of the best and worst of what it means to be human, Sartre’s one act play reveals how hell isn’t just “other people” but sometimes merely a glimpse at a mirror’s reflection of the inner self. No Exit is a reminder that death and its resulting grief is an inescapable part of being alive. The genius of Italo Calvino’s metafictive classic lies not only in its awareness of form, but in the its disregard for linearity and traditional form. Originally published in 1979, Calvino’s postmodern marvel deconstructs the boundaries between the reader and the text, fusing together the imagined and the actual with the deft use of the second person and vivid epiphanies that seem to jump from the page, beckoning readers to look deeper. As the novel unfolds, it feels as if it is aware of the reader’s deepest desires and fears, that the words are somehow sentient. “You’re the sort of person, who on principle, no longer expects anything of anything,” Calvino writes. “You know that the best you can expect is to avoid the worst.” Aware of external distractions, catastrophes, and distress, If on a Winter’s Night a Traveler persists, entrusting its faith in readers who are willing to wander and be remade by the written page. Although over half a century has passed since it’s publication, the chilling grip of Anna Kavan’s apocalyptic novel Ice continues to linger. A nearly prophetic examination of looming devastation, the hypocrisy of the governmental hierarchy, and the destructive horror of nuclear disasters, Ice follows an unnamed protagonist as he grapples with the rapidly changing landscape of the world the surrounds him. On the brink of obliteration, Kavan’s troubled narrator anxieties devolve into obsession which drives him to compulsively search for a woman he once loved only to discover that he and the creeping freeze devouring the world around him share something in common: they are both destroyers. An unconventional yet harrowing story about desperation and catastrophe, Ice is a surreal meditation on the potential violence of misused power. In her fourth novel, Helen Oyeyemi explores what happens when an artist’s muse strikes back. Mary Fox, an embodied yet elusive protagonist, challenges her husband Mr. Fox’s metafictive killing sprees. Having grown tired of seeing the women in his stories discarded merely because they are too difficult for him to manage, Mary suggests that the two collaborate to avoid the further erasure of his protagonists. As they embark on their project, the lives that Mary conjures gradually reveal previously suppressed memories, passions, and fissures in her own psyche. In attempts to save the women in her husband’s stories, Mary is able to free herself from the constraints of the male gaze and its performative expectations. A sly and mesmerizing novel, Mr. Fox is a cryptic yet dazzling testament to the literal and figurative power of storytelling and owning one’s truth. Dianca London Potts earned her MFA in fiction from The New School. 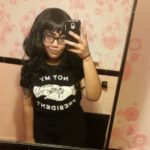 She is a Kimbilio Fiction Fellow, a VONA Voices alumna, and the former online editor of Well-Read Black Girl. Her words have been featured in Lenny Letter, The Village Voice, Vice, and elsewhere. Her memoir, Planning for the Apocalypse, is forthcoming from 37 Ink. She currently works and resides in Brooklyn.